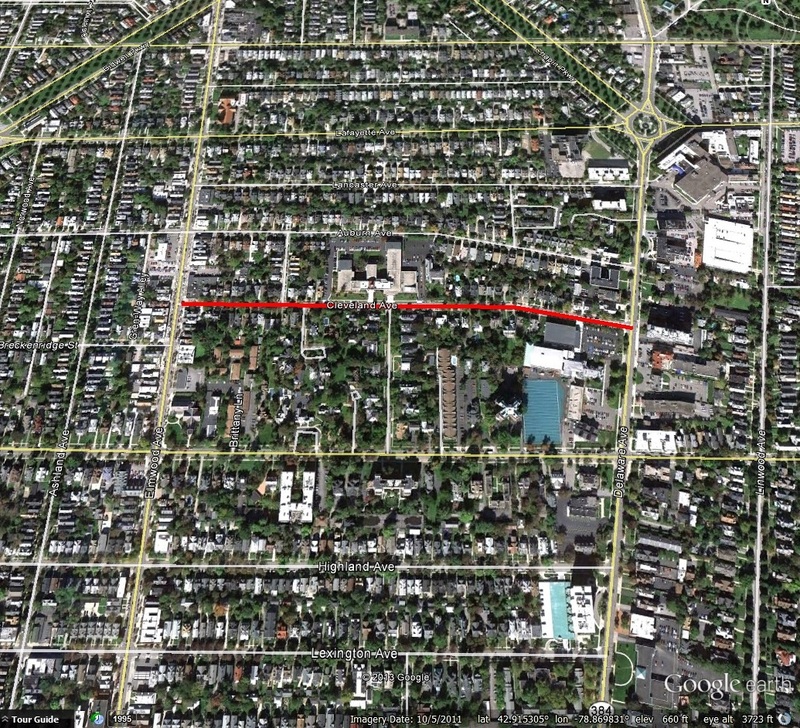 Cleveland Avenue is a street in the Elmwood Village, running between Elmwood Avenue and Delaware Avenue. 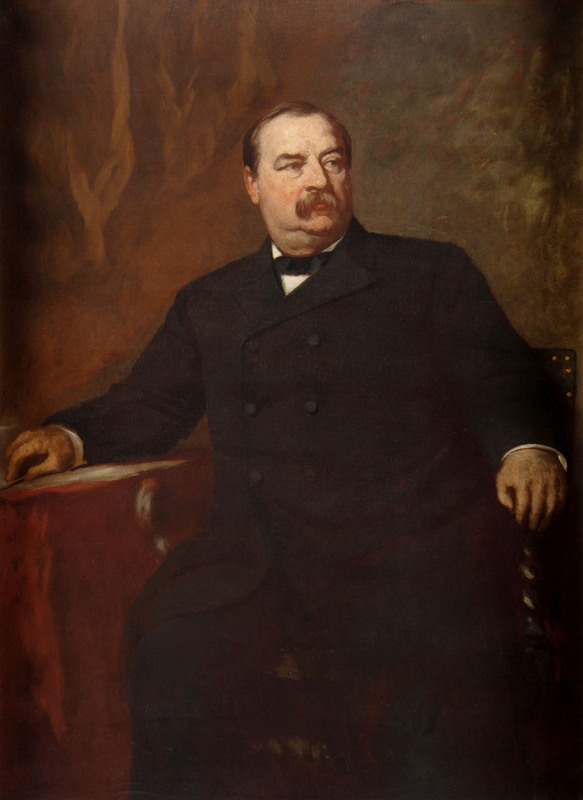 Cleveland Avenue is named after one of Buffalo’s most prominent citizens, President Stephen Grover Cleveland! Today (March 18th) is Grover’s birthday. 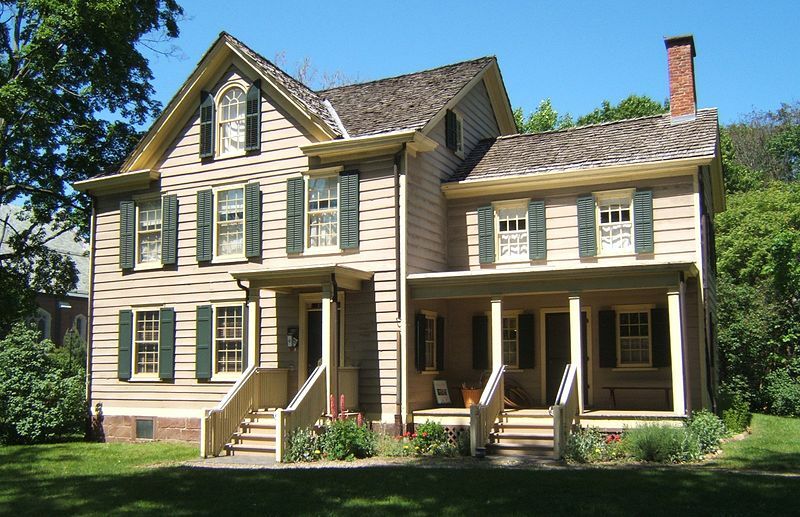 Grover Cleveland’s story is a rare one. He rose to political fame from the position of an unknown lawyer in Buffalo in a period of only three years. He was not connected via his lineage, but rather worked hard and represented himself with integrity, which led to his success. While much has been written about President Cleveland’s campaigns and White House years, I’m going to focus on his time before he was president. Mr. Cleveland’s family came to America in the 1600s, settling in Massachusetts from England. Stephen Grover Cleveland was born on March 18, 1837 in Caldwell, New Jersey, the son of a Presbyterian minister. He was named after the previous pastor at the church where his father now preached – Dr. Stephen Grover. The first name was dropped; however, and he always went by Grover. He was educated in public schools in Fayetteville, New York and at the Academy in Clinton, New York. He served as a grocery clerk in Fayetteville as his first job. He later became an assistant in the Institution for the Blind, New York City. In 1855, Mr. Cleveland came to Buffalo. He was heading to Ohio to seek fortune, but first came to visit his uncle, Lewis Allen, who lived on a farm. Mr. Allen convinced Grover to stay in Buffalo, by giving him a place to stay and introducing him to members of a law firm. Mr. Cleveland studied law with Bowen & Rogers and was admitted to the bar in 1859. One of the local legends is that when Mr. Cleveland first started at a law firm in Downtown Buffalo, he made such a little impression on the lawyers while he studied, the lawyers forgot he was there, and locked up the office for the day while he was still in the office. He vowed that “someday, I will be better remembered”. During the Civil War, Mr. Cleveland was drafted. His two younger brothers enlisted. At the time, the Enrollment Act of 1863 allowed draftees to pay $300 to have a substitute go to war for you. Grover borrowed money to pay a substitute, so that he could stay in Buffalo and take care of his mother. In 1866, Mr. Cleveland formed a partnership with I.K. Vanderpool. The two worked together for 4 years. He then worked with P. Laning and Oscar Folsom, working with them for two years when Mr. Cleveland was then elected to be Sheriff of Erie County in 1870. Mr. Cleveland was considered to be just and fair in his term as Sheriff. He showed a disregard for partisan interests and he was considered a reformer. He served as Sheriff until 1874, using his down time to continue his studies. When he returned to the bar after his time as Sheriff, he was more confident and was considered to be a better lawyer. He never became wealthy as a lawyer but was distinguished among the law community for his hard work and strong ethics. In 1881, the City of Buffalo was considered to have a corrupt government that was driving the city towards ruin. The population was growing quickly; politics and business were intertwined, and there was a demand for reform. Citizens were looking for a mayoral candidate who could bring about reform. They found their man in Grover Cleveland. With some convincing by Peter Doyle, he decided to run. He was elected with a majority that was the largest ever given to a candidate up until that time. His main principal for his official life is expressed by one of his messages to the Common Council: “There is, or there should be, no reason why the affairs of our city should not be managed with the same care and the same economy as private interests”. Mr. Cleveland clung to and fought for what he thought was right. He was known as the “Veto Mayor” (and later the “Veto Governor” and “Veto President”). As Mayor, he was careful with city expenditures. Mr. Cleveland’s term as Mayor was noticed throughout the state and led to his nomination for Governor. Mr. Cleveland’s strength in the gubernatorial campaign lay in the fact that he was relatively unknown, and, therefore, not part of the machine that had run New York politics. He had never met many of the representatives of the Democratic Party until the night of the convention. He was elected in 1882, defeating Charles Folger by nearly 193,000 votes. His guiding principles while Governor were retrenchment, economy, integrity and reform. He worked from early morning until late at night, carefully and deliberately undertaking the tasks at hand. It is said that he did little to attract the attention of the party leaders outside of New York State, but in doing so, his honesty and personal habits set him apart from the pomp, circumstance and parade of importance around which many public servants surround themselves. When the Democratic National Convention met in Chicago in 1884, Mr. Cleveland was nominated for Presidency. He won the election by beating James G. Blaine, and became President of the United States. 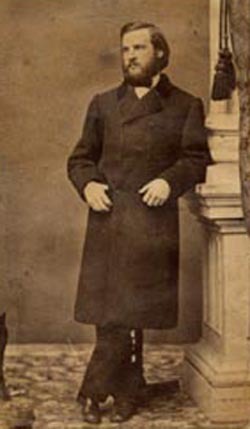 After being defeated by Benjamin Harrison in 1888, Cleveland returned to New York City to work as a lawyer. 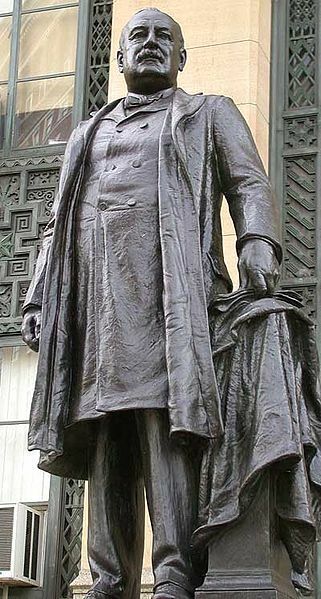 In 1892, Cleveland defeated President Harrison and became the first president to be elected for non-consecutive terms. 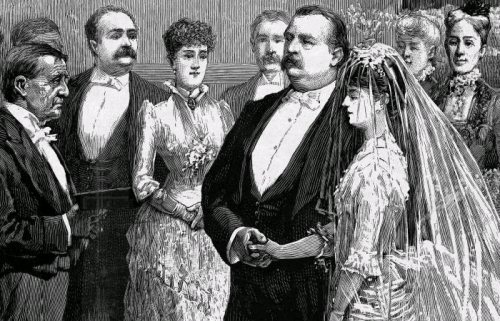 During his first term as president, in 1886, Mr. Cleveland married Buffalonian Frances Folsom. He is the only president to be married during his term, with the wedding taking place in Blue Room of the White House. When Oscar Folsom (Cleveland’s business partner and Frances’ father) died, Grover became executor of his estate, but was never the legal guardian of Frances, as many believe. Frances was the youngest first lady in history, 21 at the time of their wedding. She was a popular first lady, people purchased souvenirs bearing her likeness and copied her hairstyles and clothing. Frances was born in Buffalo; her house still stands on Edward Street. A slice of the Clevelands’ wedding cake from 1886 is in the collection of the Buffalo History Museum. Frances and Grover had three daughters and two sons. In 1896, Cleveland declined the nomination for a third term, and retired to his estate, Westland Mansion, in Princeton, New Jersey. He became a trustee at Princeton University. He also served as a consultant to President Theodore Roosevelt. He died of a heart attack in 1908. His last words were “I have tried so hard to do right”. 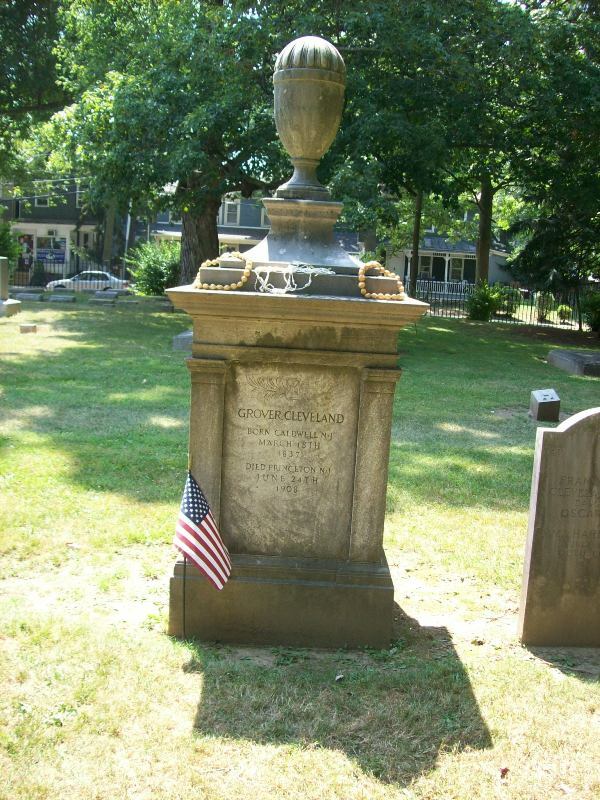 He is buried in the Princeton Cemetery. To read about other streets, check out the Street Index. Triplett, Frank. The Authorized Pictorial Lives of Stephen Grover Cleveland and Thomas Andrews Hendricks. New York: E.B. Treat, Publisher. 1884. Memorial and Family History of Erie County, New York. Volume 1. New York-Buffalo: Genealogical Publishing Company, 1906. Peckham, Caroline. The Pre-Presidential Career of Grover Cleveland. University of Wisconsin: 1922. “Mr. Cleveland is Dead at 71”. New York Times: June 25, 1908.